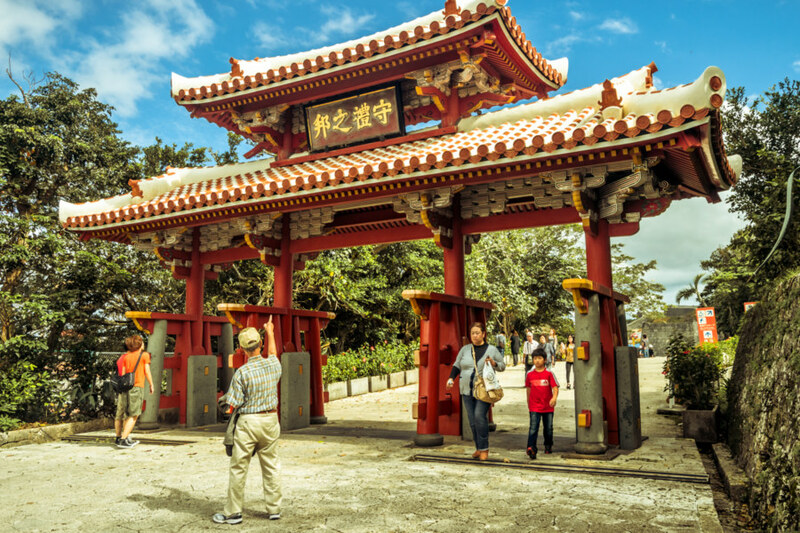 I visited Okinawa 沖縄 in November 2013 on one of my first side trips from Taiwan. 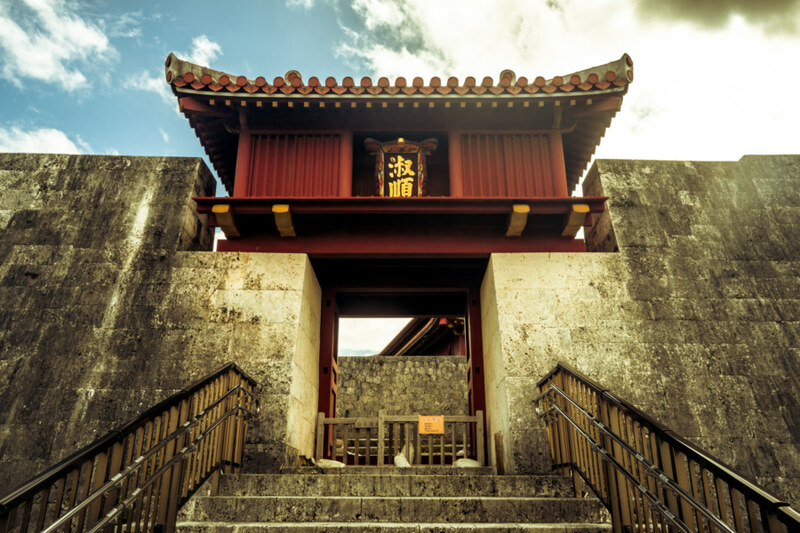 Gathered here are some of my photographs from a brief tour of Shuri Castle 首里城, also known as Shuri-jō, a historic Ryūkyūan gusuku built on a hilltop in Naha around 650 years ago. 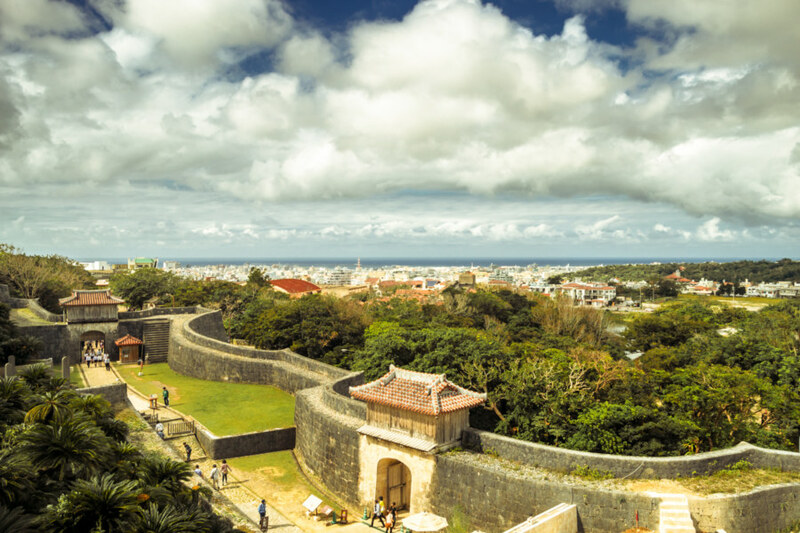 Almost nothing seen here is original—the castle and almost everything around it was destroyed in the Battle of Okinawa and reconstructed from historic records between 1952–1992. 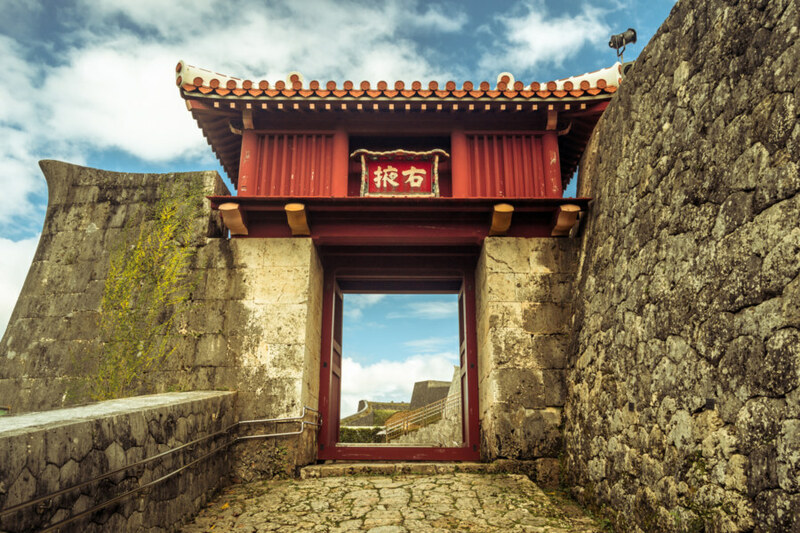 Shureimon, the gateway to Shuri Castle and the former royal palace of the Kingdom of Ryukyu. 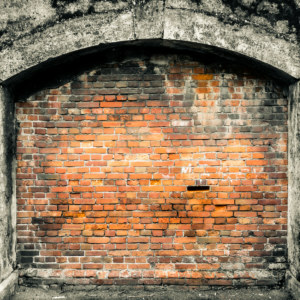 The stone gates of Sonohyan-utaki shall open nevermore. 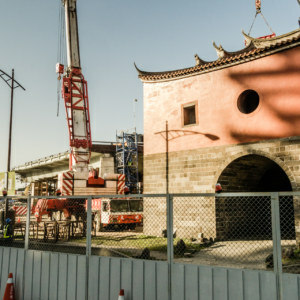 One of the first things you’ll see is the gateway of Shureimon 守礼門, one of the first parts of the old castle grounds to be reconstructed. 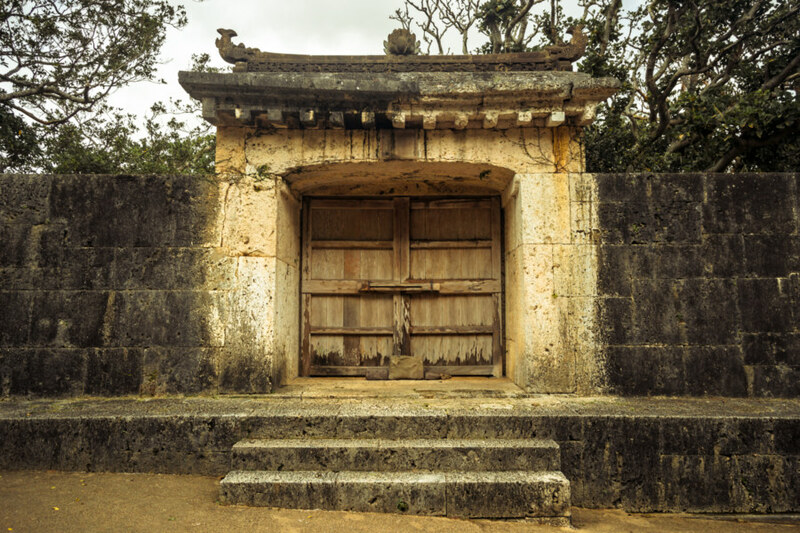 You will also encounter the stone gate of Sonohyan-utaki 園比屋武御嶽, the entranceway to a sacred grove that I did not spend any time in. Apparently the gate was reserved for the use of the king and will, therefore, never open again. 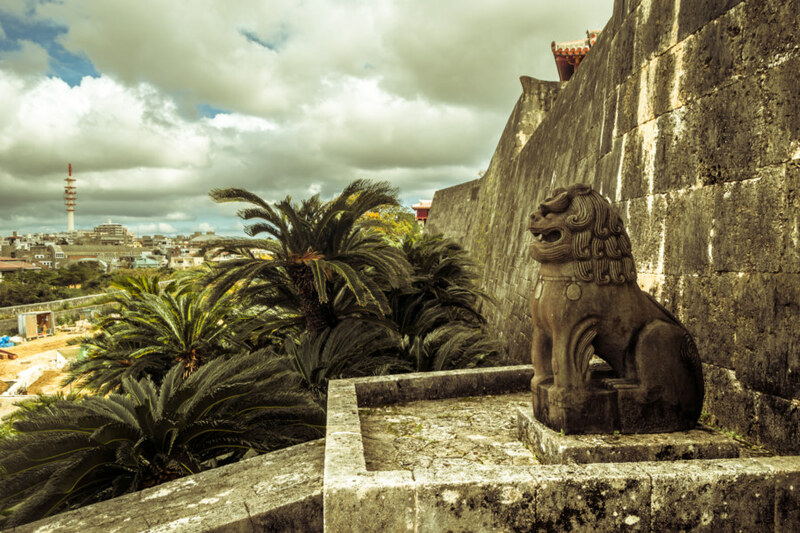 A guardian lion outside a wall in Shurijo. 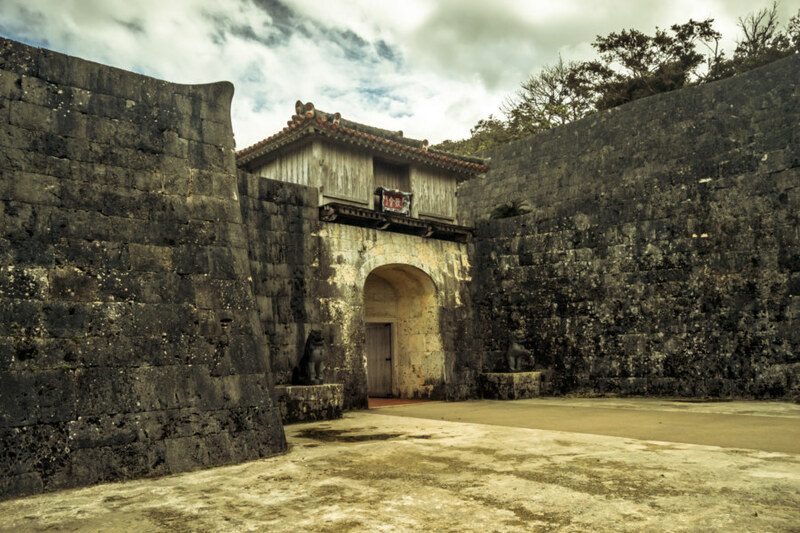 Amusingly, one blog I read suggests Shuri Castle “may sound just like a boring list of gates and their names”, which is somewhat true. 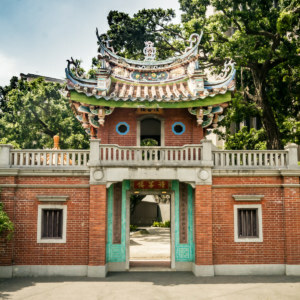 I dutifully photographed many of the gates—Kankaimon 歓会門, Zuisenmon 瑞泉門, Uekimon 右掖門—and read whatever information was on hand to understand something of what I was seeing. Each gate has a story and most of them have alternate names and other individual features better explained by the previously mentioned blog or this ludicrously detailed entry on SamuraiWiki. 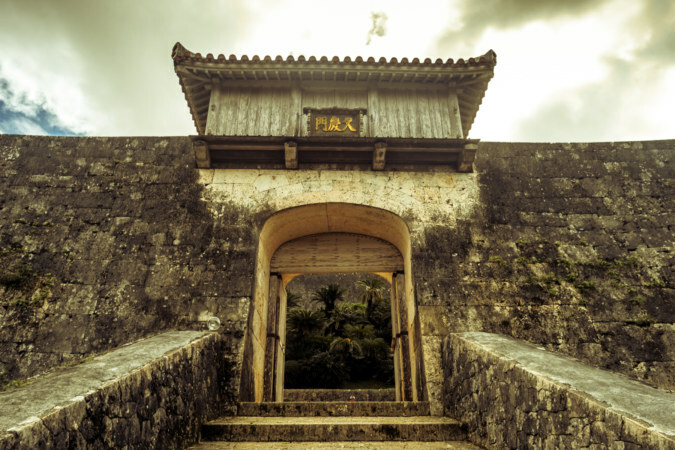 The only story that really jumped out at me was Kyukeimon 久慶門, the gateway used by women to enter the castle. 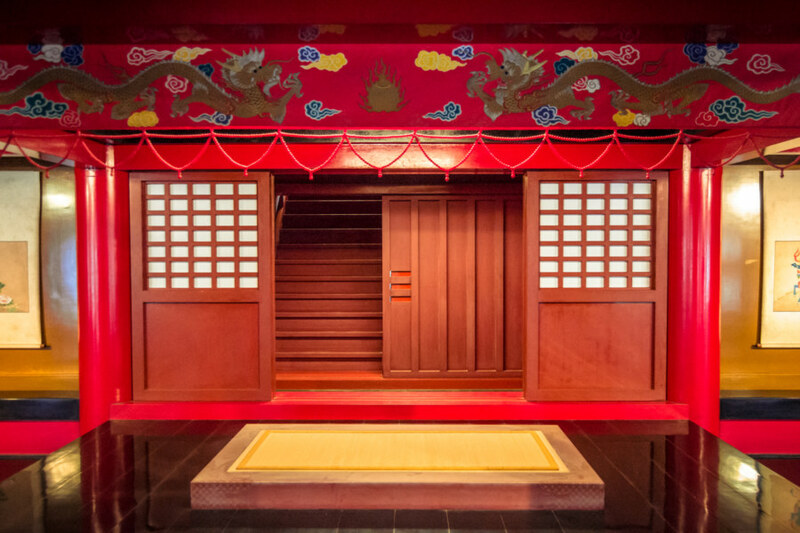 Kyukeimon, a gateway for women. 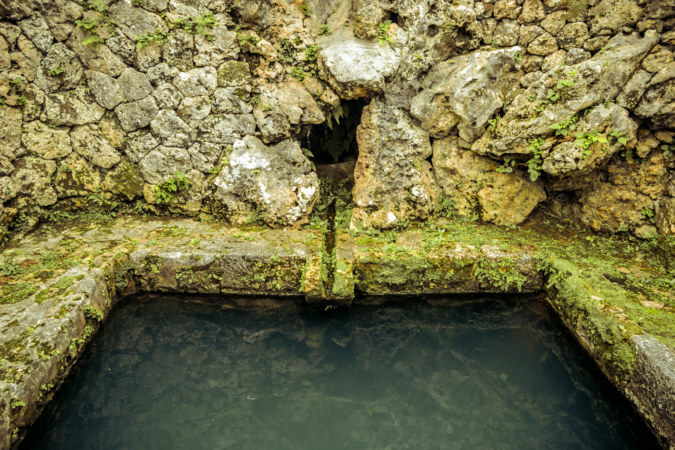 One of several springs at Shurijo. 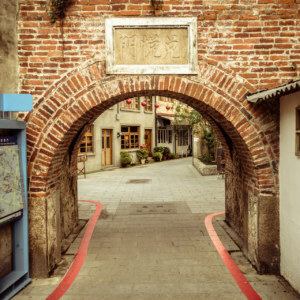 Zuisenmon, gateway to the Seiden. 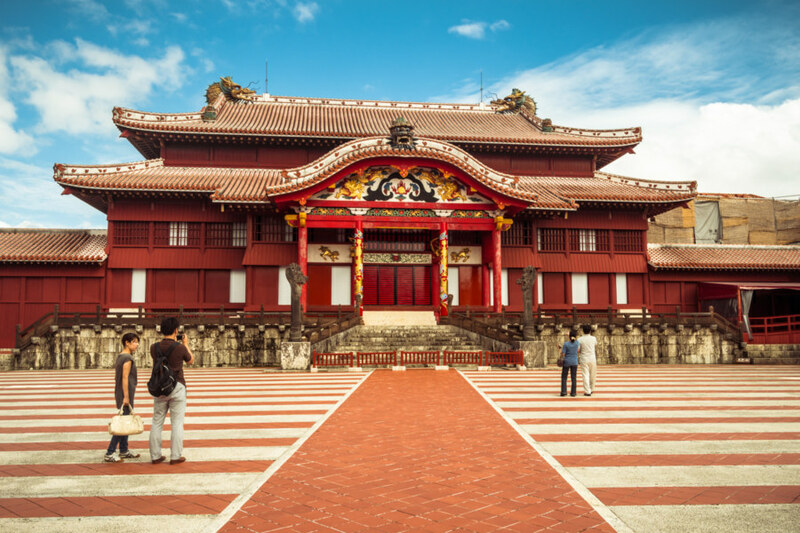 The star attraction at Shuri Castle is the Seiden 正殿, formerly the royal palace and residence of the ruling elite of the Kingdom of Ryūkyū. It was bombed to dust in the war so everything you see today is an imitation—but a marvelously photogenic one, just the same. 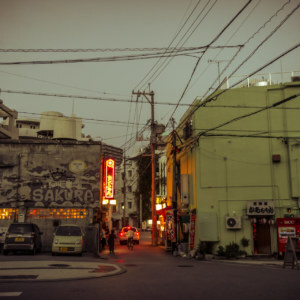 First glance at the Seiden at Shurijo. 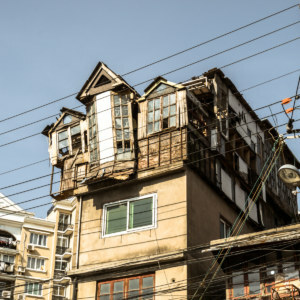 You can see part of the building is still under construction. 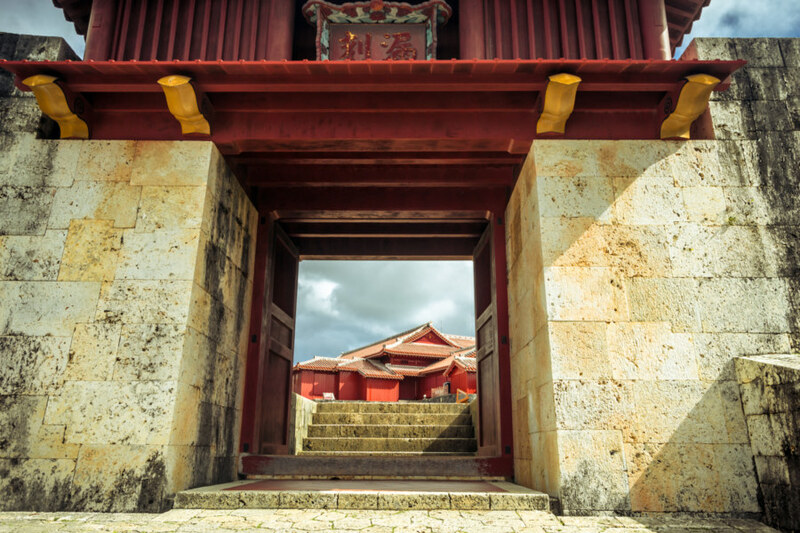 The star attraction of Shurijo is the royal palace of the Kingdom of the Ryukyus (or an acceptable facsimile thereof). 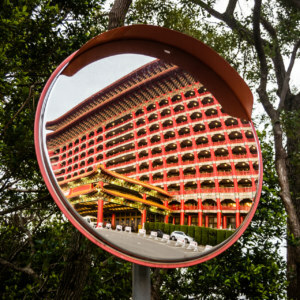 The palace and the various buildings around the central plaza form a museum, one with all sorts of rules about when and where you can wear shoes or take photographs. I found this somewhat odd given that we were all meandering through what amounts to a film set, but whatever—this is still Japan 日本 and rules are rules. As such, I only have a few pictures from inside the Seiden. 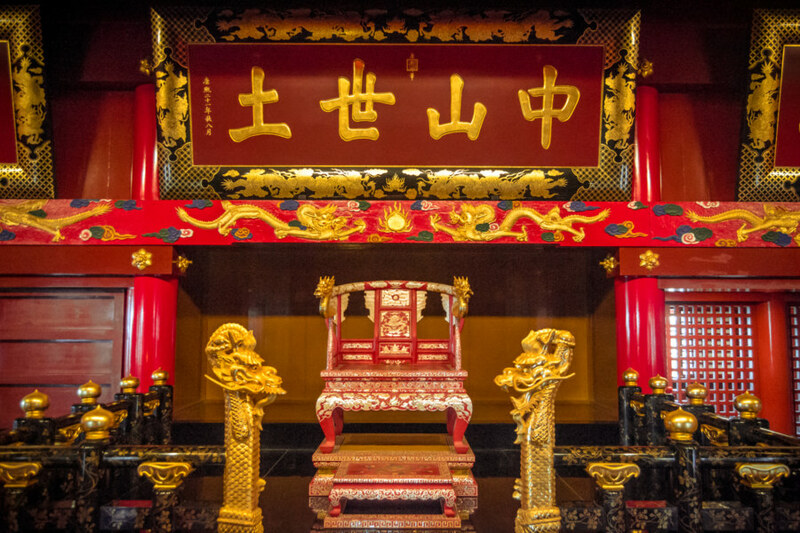 For what it’s worth, the inscription above the throne reads Zhōngshānshìtǔ 中山世土 and, from what I understand, was a gift of the Kangxi Emporer of Qing dynasty China. Martial artists before the Seiden in Okinawa. Furnishings inside the Seiden. Not entirely sure what this was exactly. The fabled throne ruin on the second floor of the Seiden. Leaving the Seiden by way of Zuisenmon. Not sure if I’m doing it right but then again I’m no visiting dignitary. 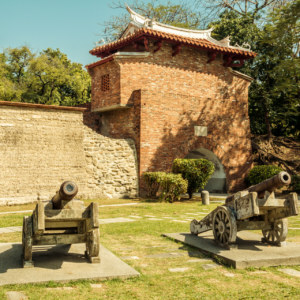 My experience of walking around the castle grounds was not unlike my trip to the palace grounds of Gyeongbokgung in Seoul, another famous landmark recently rebuilt for the benefit of tourists, both domestic and international. Something about the ersatz nature of these attractions make them easy to appreciate but difficult to really immerse yourself within. 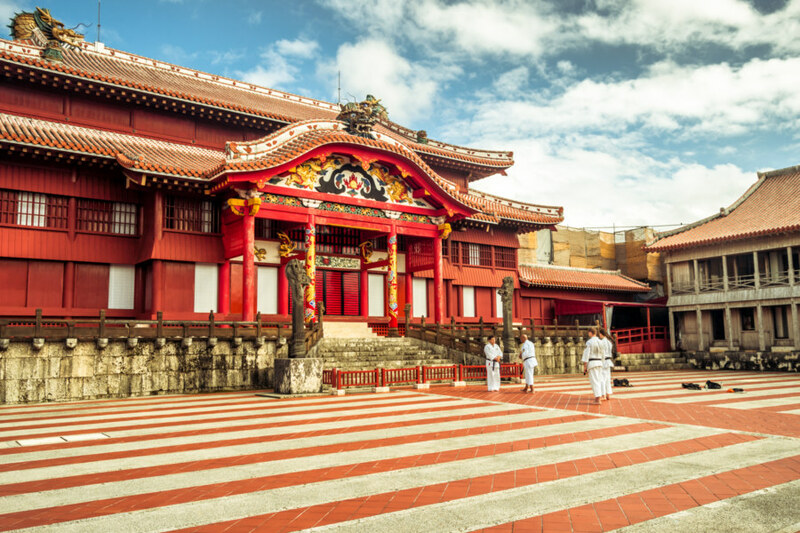 That being said, I still enjoyed my time wandering around Shuri Castle and would recommend it to anyone passing through Okinawa. Uekimon, another one of Shurijo’s many gates. It’s easy to get lost in here. 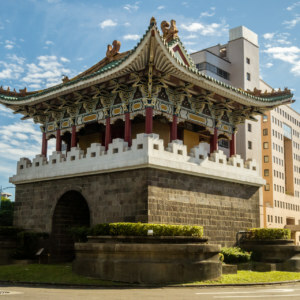 The outer walls of Shurijo with Naha on the horizon. 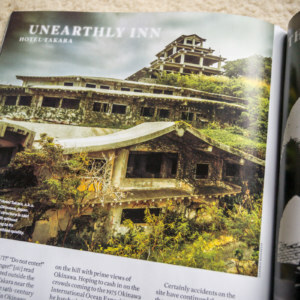 Later on that same day I cycled out to Nakagusuku Castle to explore the supposedly haunted (and unfinished) hotel immediately next to it, but that’s a story for another time. 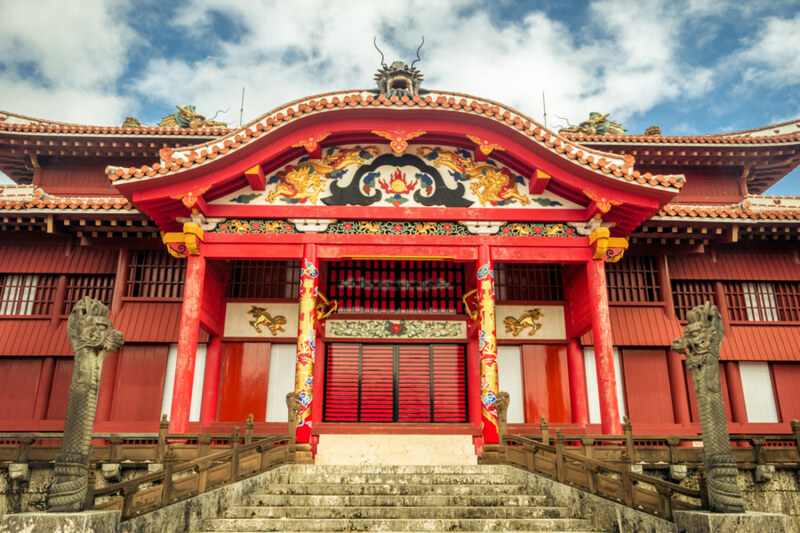 For more English language content about Shuri Castle have a look here, here, and here.